Today’s workforce is filled with five different generations which can make creating a company culture difficult at times. With so many different personalities, challenges and experience levels it is often hard to find a “one-size-fits-all” approach. So, why not use a solution that supports you building your ideal performance culture? eloomi performance appraisals help you create a performance culture, your way, with more impact and less effort. It is easy to implement no matter where your company is in their appraisal process. Eliminate the paper and pen method and say good-bye to Word and Excel! Update your legacy software or just get a fresh start on your performance process with eloomi appraisals! eloominizer, Andrew, takes the time to walk you through how you can define, design and deliver your ideal appraisal process in eloomi. This simpler process helps drive real engagement within an organisation for a culture built upon feedback and performance. Related: Are Performance Appraisals Really Necessary in the Workplace Today? 79% of executives are looking to reinvent how they use performance management. 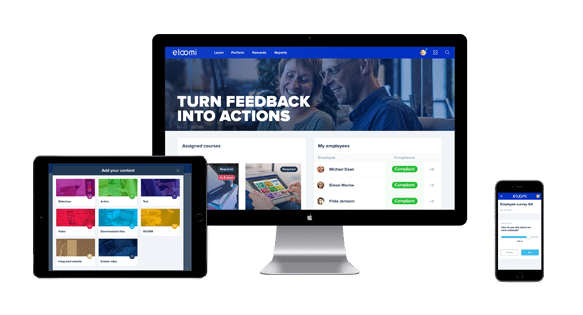 That is why we sat down with Senior HR Professional, Pernille Skovmose Finnerup to discuss how to reinvent people performance & reviews with the eloomi performance appraisal solution. This webinar is a deep dive into performance reviews and appraisals to learn how HR can create a process that combines performance management and an overview of the company’s talent pool, all in one place. eloomi LMS users have the unique capability to activate the performance functionality in their current platform to truly combine the two. By providing their employees with regular feedback and coaching in the performance side, they can support any areas of need with learning directly in those discussions. Related: Erasing the Old Appraisal Process Our customer success team is filled with experts on a wide variety of industries and topics that are ready to help you explore how they can solve your performance needs.